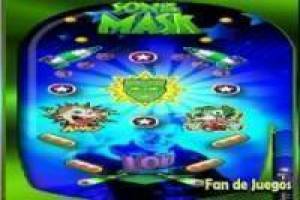 The classic Pinball game comes to our website with this version called Son of the Mask, based on the famous movie by Jim Carrey. The way to play will be the usual, you will have to hit the ball to make it bounce against the elements that you will find in the recreational machine. Each rebound will add points to your score and you will have to hold the ball as long as possible to achieve a great record. 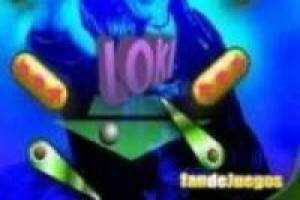 You have four balls in each game so you can do all the points you can, without a time limit. You must be very skilled when you lower the ball, to hit the sticks and return it to the top of the machine. Challenge your friends to achieve a better score to yours. 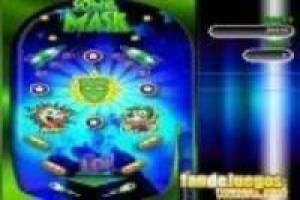 Enjoy the game Pinball, Son of the Mask, it's free, it's one of our pinball games we've selected.